Despite the fact that Apple Watch was able to rake in more than a million units in one single day, it is safe to say that the wearable is headed towards a downward spiral. Now some Apple fan boys might disagree, but after much collective research, we were able to compile our own details that suggests the end of Apple Watch. Let us begin. In comparison to an iPhone, Apple Watch looks far more affordable, and its base model’s $349 price tag seemed like a killer deal for those consumers who always end up paying ridiculous amounts to become the owner of an iPhone. This is what might have spiked the sales figure in the first place. 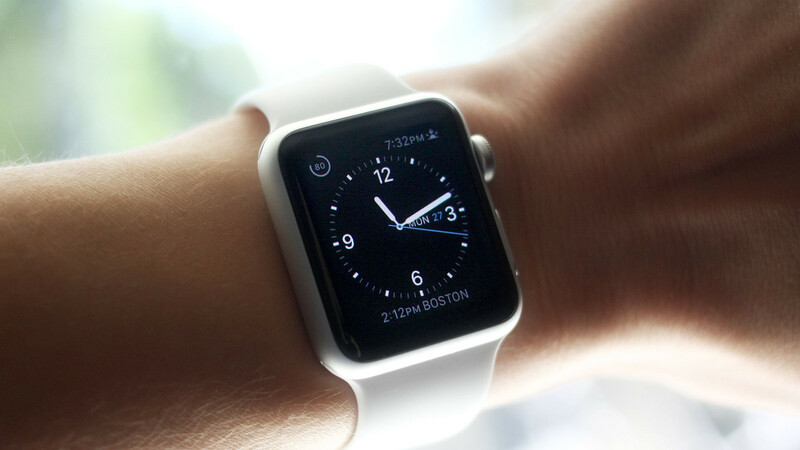 However, despite the initial sale surge, the wearable’s popularity is dwindling with every passing day. 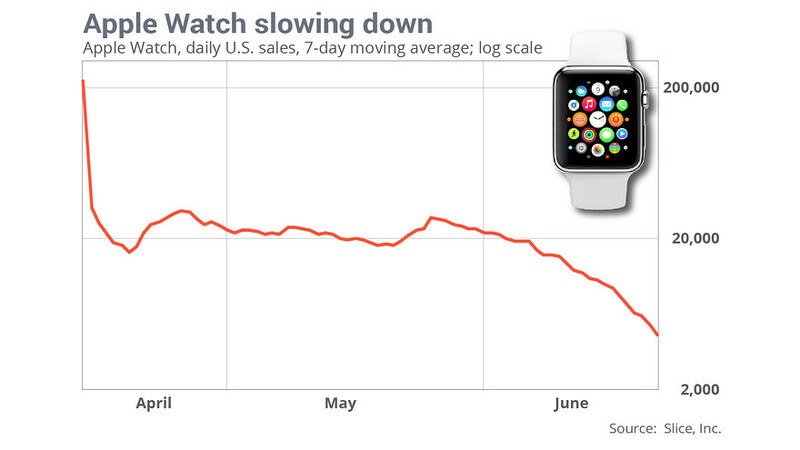 The latest market research suggests that sales of Apple Watch have plummeted by 90 percent since the opening weekend. Apple has been selling less than 20,000 units a day in the geographical limits of U.S., with the sales tally goes as low as 10,000 units on some days. Seeing as wearable’s 1.5 million unit tally has been reduced to a modicum 10,000 units, the product is a definite failure in our books. One problem stemming from Apple Watch and the consumers that purchase them is that despite all of its features, users will still have to carry around their iPhones. For the price of $349, you would expect the device to carry out some miracle that has never been seen before in other smartwatches before. If Apple Watch received notifications without users forcefully required to carry around their mobile devices, then we would have been thoroughly impressed. This is the complete opposite approach that Apple took when it had released its first ever iPod in 2001. The company was able to bulldoze through a barrier and actually provide what consumers required. With the company’s first ever wearable, it delivers more problems than a solution. After all, having to carry around two devices just to perform a single function is not exactly solving anything for a consumer base. For a $349 price tag, if a wearable is unable to deliver a whole day of battery life, then there is something that does require serious amounts of tweaking. With all the features stuffed in to the product, you can rest assured that you will have to make Apple Watch go through several charging cycles before you can browse all that the wearable has to offer. The interesting here to note is that while Apple Watch does target the fitness eccentric, there are much cheaper solutions scattered around just waiting to be purchased. For starters, how else do you expect Xiaomi to control a quarter of the wearable market? By selling overpriced goods? These cost-effective wearables will also feature the capability to make contactless payments through an NFC chip present in them. The disappointing thing to note is that while Apple Watch also possesses this feature, the existence of cheap solutions has already started created problems for the company. As a concluding note, we are comparing Google Glass to Apple Watch. Coming to Google Glass, it is not that the head wearable failed because of the tech it featured; it failed because it was unable to define why the consumer actually required it in the first place. The same argument can be made for Apple Watch. That being said, when the day arrives when you will be able to make standalone functions from a wearable without requiring a smartphone as a backbone is the day that we will be truly impressed. Till then, looking at the current sales figure, and failing to deliver what the consumer actually requires, Apple Watch is nothing more than an overpriced gimmick at this point, soon to fade from memory and replaced by much better, and cheaper substitutes. The post Three Signs That Prove Apple Watch Is Failing by Omar Sohail appeared first on WCCFtech. Next articleIs HTC Another Company Looking To Get Acquired?